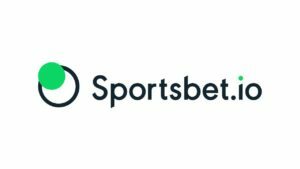 Bitcoin Press Release: Leading online sportsbook Sportsbet.io integrates Litecoin in response to customer demand. 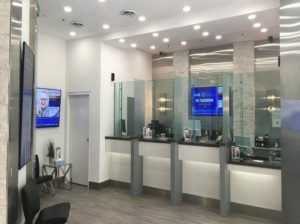 April 16th, 2019, Tallinn, Estonia – Following popular demand, leading multi-currency sportsbook, Sportsbet.io has integrated Litecoin, further enhancing its payment capabilities. Players can now deposit, play, win, and withdraw in Litecoin, added to the already vast variety of other cryptocurrencies such as Bitcoin, Ethereum, SOC coin, as well as 11 traditional fiat currencies. After reviewing feedback from various player forums, the Sportsbet development team noticed a growing demand for Litecoin. 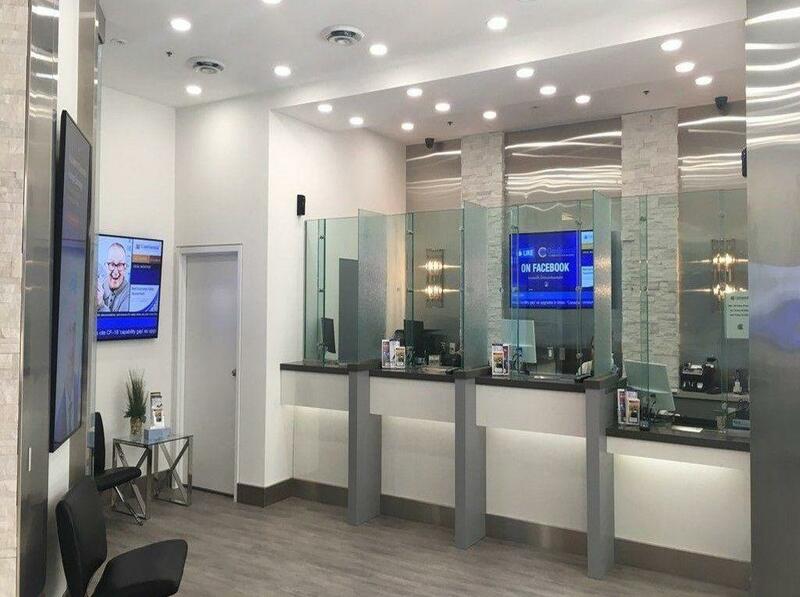 In line with the Coingaming Group’s main goal to offer a fun, fast, and fair experience with full accessibility to all its customers, the team quickly delivered and now boasts an even wider variety of currency options. Launched in October 2011, known as the silver to Bitcoins gold, Litecoin is the world’s third most popular altcoin, and offers players rapid processing speeds and importantly, lower transaction fees. Earlier this year the leading online bookie announced its debut into the world of sponsorships ahead of the Sportsbet.io CONIFA Euros 2019, set to take place in June this year. Founded in 2016 as part of the Coingaming Group, Sportsbet.io is a leading multi-currency sportsbook operator, offering both crypto- and fiat currencies. 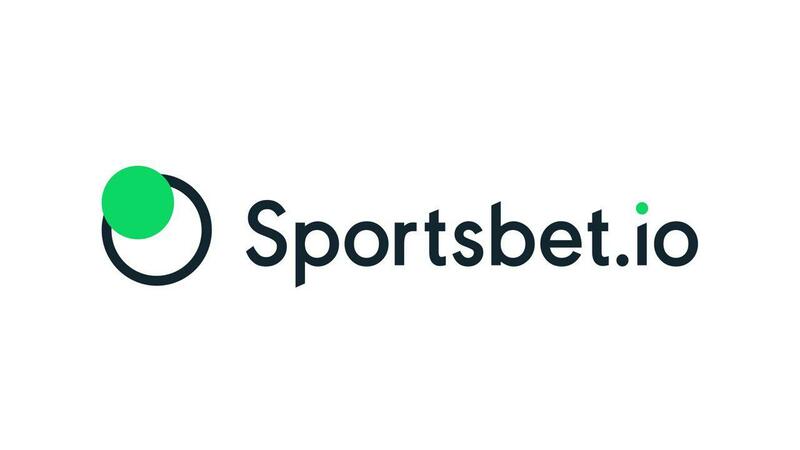 Sportsbet.io has an expansive, quality betting product across all major sports and eSports, offering more than 350,000 pre-match events per year, as well as comprehensive in-play content. It also provides innovative markets such as player prop bets for soccer, American football, and basketball, and is the only bitcoin-led sportsbook to provide live streaming across all major sports. Sportsbet.io prides itself on its secure and trustworthy betting service, with withdrawal times of around 1.5 minutes — amongst the fastest in the industry. Sportsbet.io is the source of this content. Virtual currency is not legal tender, is not backed by the government, and accounts and value balances are not subject to consumer protections. This press release is for informational purposes only. The information does not constitute investment advice or an offer to invest. The post Sportsbet.io Integrates Litecoin and Expands Cryptocurrency Options appeared first on Bitcoin PR Buzz. 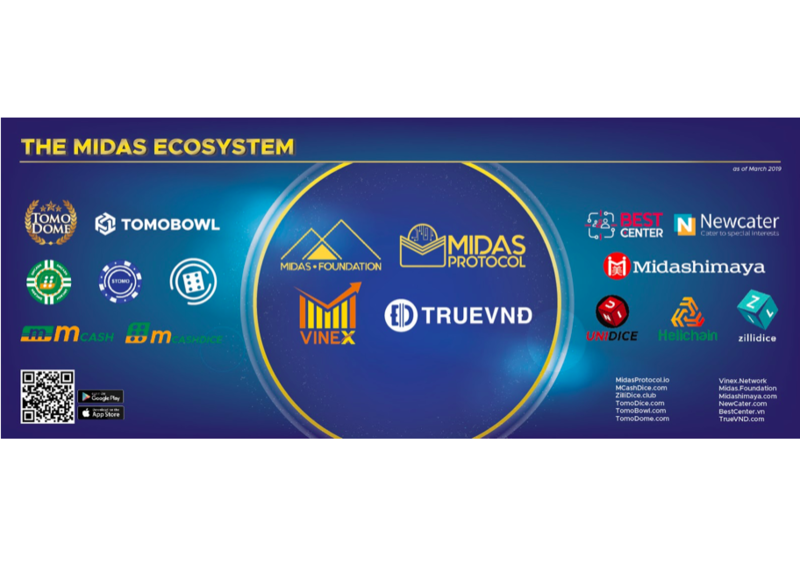 Bitcoin Press Release: Decentralized EOS-based betting game TrustDice has announced the release of Trust Protocol, accelerating decentralized game development, and eliminating in-game cheating. 16th April 2019, Cayman Islands – TrustDice is an EOS based decentralized game that launched in late October 2018, and it is now one of the most popular online games. All the transactions within TrustDice are recorded on the EOS blockchain through smart contracts, which guarantees total transparency and provable fairness. As a result, cheating inside games (by game devs or players) has almost been entirely eliminated. Since its launch Over $68M worth cryptocurrencies has already been wagered on TrustDice, and the site now supports payments of multiple cryptocurrencies including EOS and BTC. The TrustDice team consists of gaming veterans and blockchain experts, all intent on the same vision: merging blockchain technology and cryptocurrency with gaming, to help developers build decentralized online titles. TrustDice have taken a huge step towards this goal, with Trust Protocol. Trust Protocol is a protocol for dGames (Decentralized Games). It uses an on-chain/off-chain hybrid infrastructure to guarantee the true transparency of dGames, as well as supporting the payment/exchange of multiple cryptocurrencies. No matter what cryptocurrencies players are holding, they can play those dGames supported by Trust Protocol, and all their game transactions will be recorded on EOS blockchain with smart contracts. 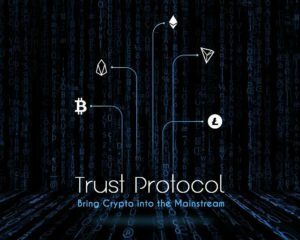 In addition to EOS and BTC, Trust Protocol will also support ETH, TRX, and many more in the near future. By supporting multiple cryptocurrencies, developers will be able to attract more players and earn more money to fund more ambitious development projects. TrustDice has also developed an innovative token to reward contributors sharing the same vision with Trust Protocol. The company has issued a token called TXT, which players will be given as rewards while playing games supported by Trust Protocol. Players Holding TXT will share the profit of all the games integrated with Trust Protocol. As more games are integrated with Trust Protocol in the future, TXT holders will receive more daily passive income, as well as benefiting from the growth of TXT price. All individuals interested in this “Play-To-Mine” mechanism, can learn more by visiting TrustDice, the first dGame integrated with Trust Protocol. TrustDice is the source of this content. Virtual currency is not legal tender, is not backed by the government, and accounts and value balances are not subject to consumer protections. This press release is for informational purposes only. The information does not constitute investment advice or an offer to invest. 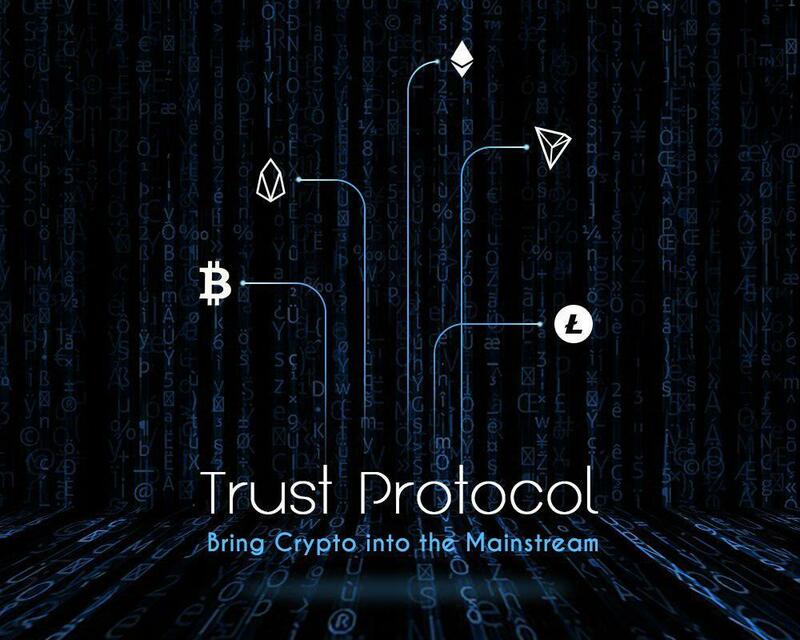 The post TrustDice Announce Release of Groundbreaking Trust Protocol, Accelerating Decentralized Game Development with dGames appeared first on Bitcoin PR Buzz. Bitcoin Press Release: Derivatives Exchange Bybit has officially started its first Trading Competition on Twitter. The competition will run from April 8th to May 6th, 2019. 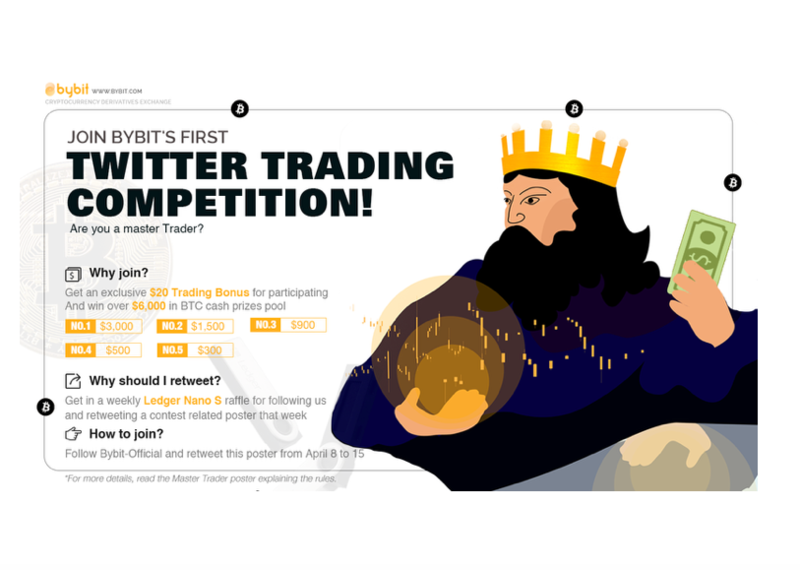 April 11, 2019, Singapore – Singapore-based global derivatives exchange Bybit has launched a new Trading Competition for users to match their skills against one another in the hunt for over $6,000 in total prize money. The trading competition will see participants demonstrate their trading mastery in an attempt to place among the top 5 traders at the end of the period to qualify for a prize pool worth over 6,000 USD, and the 1st place prize is 3000 USD. The best traders will be calculated using ‘Realized Profit and Loss’, which means that all traders can fairly participate, regardless of factors like trading volume. Interested Individuals can join by following Bybit on Twitter, retweeting the Competition Poster, having at least 0.02BTC in deposits in a Bybit account, and filling out a brief registration form. Bybit will DM all participants on Twitter to confirm registration and send out a $20 Competition Bonus. The registration will take place from April 8th to 15th and the competition will run from April 15th to May 6th. Additionally, any weekly retweets of the campaign posters from April 8th to May 6th will enter participants into a Weekly Raffle to win a Ledger Nano S. For a full list of terms see here. Bybit is also offering a Welcome Bonus to all new traders so they may try out the platform at no risk to themselves. The Welcome Bonus will reward new users registering on the platform with a $10 Bonus and an additional $50 Trading Bonus with an initial deposit of at least 0.2 BTC for a grand total of $60 of Trading Bonus. Only the initial BTC deposit will count towards the Trading Bonus. Bybit is a global cryptocurrency derivatives exchange designed for all retail traders, professionals and investment institutions alike. Bybit aims to revolutionize today’s cryptocurrency market by combining the best of cryptocurrencies and traditional finance to bring about the industry’s safest, most reliable, fairest, and most user-friendly trading platform. Headquartered in Singapore and registered in BVI, our founding team is made of professionals from the Forex industry, investment banking, and early blockchain adopters. Our technology team includes experts from numerous leading companies such as Morgan Stanley, Tencent, Ping’an Bank and Nuoya Fortune. Bybit is the source of this content. Virtual currency is not legal tender, is not backed by the government, and accounts and value balances are not subject to consumer protections. This press release is for informational purposes only. The information does not constitute investment advice or an offer to invest. The post Cryptocurrency Derivatives Exchange Bybit Launches Trading Competition appeared first on Bitcoin PR Buzz. Bitcoin Press Release: Multi-currency wallet app Quppy has launched a new service that enables euro accounts to be opened through EU banks, for individuals and legal entities. April 11th, 2019, TALLIN, ESTONIA – Users of the Unique, Multi-Currency, Cross-Platform Crypto-Wallet Quppy, can now undergo a verification process and open an account via the Quppy Wallet app. The Quppy app can then be used to buy and sell crypto assets and make payments. Legal entities can undergo the verification process now, through an easy-to-use online form, or by writing to Quppy. After completing the process, users can buy or sell the cryptocurrency, top up a balance, and sent or receive a transfer through the online banking portal Quppy.Business. Quppy offers a transparent system of tariffs for legal entities, including free account opening and three months of service. IBAN-account supports the SEPA replenishment system. All transactions comply with safety standards. 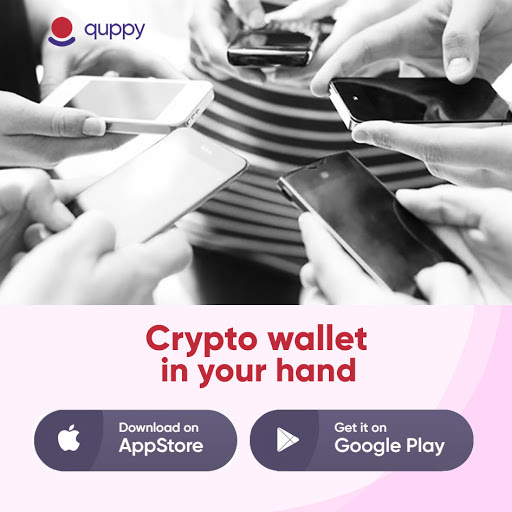 Quppy Wallet is a multi-currency crypto-wallet with unique cross-platform applications. It houses an advanced crypto portal that will help both corporate and private clients to integrate traditional banking services into the crypto world. Quppy is gaining popularity in the USA, Europe, and CIS countries – more than 100,000 downloads. That indicates trust in the platform and a good sign of future growth. Quppy is the source of this content. Virtual currency is not legal tender, is not backed by the government, and accounts and value balances are not subject to consumer protections. Cryptocurrencies and tokens are extremely volatile. There is no guarantee of a stable value, or of any value at all. The post Multi-Currency Wallet App Quppy Launches Euro Account Service for People and Companies appeared first on Bitcoin PR Buzz. 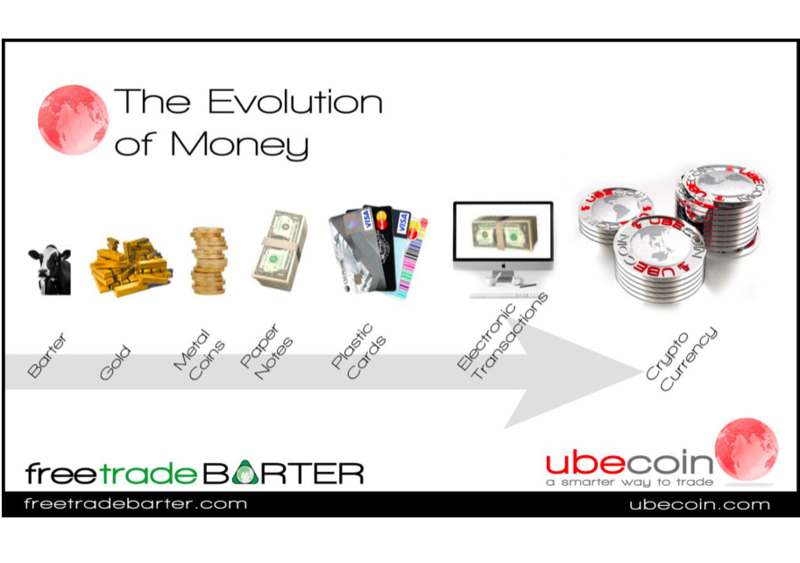 Bitcoin Press Release: Ubecoin offers a free trade barter platform that allows merchants to trade without transaction costs, leveraging on blockchain technology and developing a community based, decentralized subscription model. 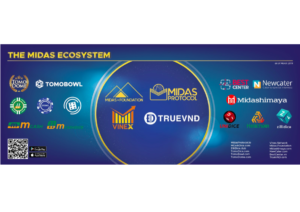 They announce the commencement of their token sale on April 8th, 2019. 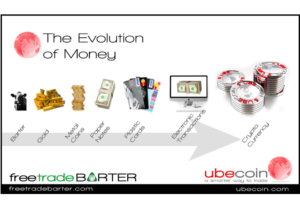 7th April, 2019, Perth, Australia: Ubecoin is a blockchain based trading platform located in Gibraltar that brings benefits of decentralization to merchants from around the world. With traditional trading markets full of intermediaries, unnecessary paperwork and risings costs, companies are being forced to reevaluate their trading businesses. In this light, Ubecoin gives power back to the merchants. Zero Transaction Fee: With traditional trading platforms taking anywhere from 10 to 13% as fee, merchants lose profits. Ube takes no fee from merchants on its platform. Multi Level Trading: Traders can do B2B, B2C and even C2B trading on Ube platform. Secure and Transparent: Leveraging blockchain, the platform offers one of the most secure and transparent trading ledgers. Fast Transactions: Since there are no intermediaries, financial transactions are processed near instantly. ERC20 Compliant: The platform’s native currency, the Ubecoin is based on Ethereum’s ERC20 standard, offering enhanced compatibility and reduced complexity. The Ubecoin platform has a gaming and entertainment element, meaning the platform is not just about trading. With online gaming estimated to reach USD 817,100,000,000 by 2022, many gamers are frustrated that their ingame earnings are not of value in the real world. Ubecoin changes this. With game developers offering in game winnings through the platform in Ubecoin’s native token, UBE, gamers will be able to use their earnings to buy real life items through the trading platform. Players will also be able to withdraw their winnings to any exchange and ERC20 compliant wallet. Ubecoin will allow monetization and transaction of value through its native, ERC20 compliant token, the UBE. With a token that offers far more than just a medium of exchange, UBE will be used by buyers, sellers and gamers to trade and hold for value increase. The UBE will be available during its token generation event, which starts on 8th of April, 2019 and will run until 4th of July, 2019. During the event, there will be a total of 300,000,000 UBE tokens available for backers to buy. The event will have a soft cap of USD 100,000 and a hard cap of 10,000 ETH. Investors can acquire the tokens at 1 UBE = 0.00073 ETH (~USD0.10), with a minimum of roughly 5 USD backing minimum. Currently Ubecoin is available using ETH only. Ubecoin is the source of this content. Virtual currency is not legal tender, is not backed by the government, and accounts and value balances are not subject to consumer protections. Cryptocurrencies and tokens are extremely volatile. There is no guarantee of a stable value, or of any value at all. Token sales are only suitable for individuals with a high risk tolerance. Only participate in a token event with what you can afford to lose. This press release is for informational purposes only. The information does not constitute investment advice or an offer to invest. The Ubecoin token sale is closed to US participants and participants of all countries in which ICOs are illegal. The post Don’t Miss Out! Decentralized e-Commerce Platform Ubecoin Announces Token Generation Event, April 8th, 2019 appeared first on Bitcoin PR Buzz. Bitcoin Press Release: UK-based crypto exchange platform Buzzex has just announced the start of trading on its’ platform, alongside many developments, competitions, and programs. 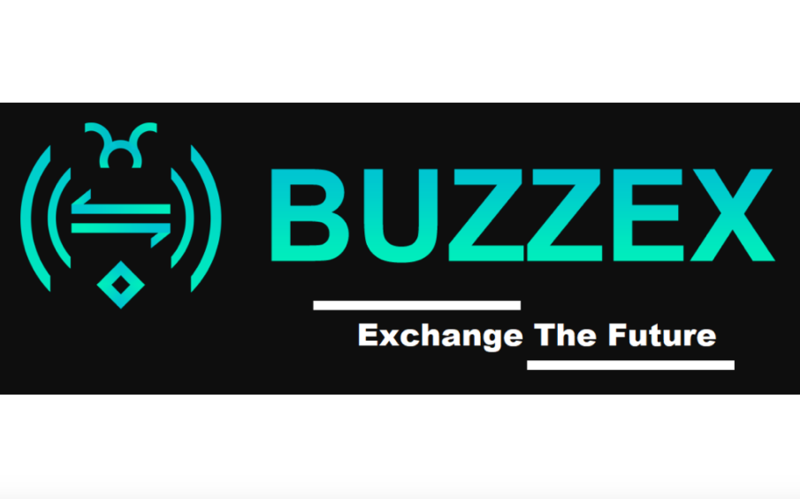 Friday 29th March, 2019, London, United Kingdom – Buzzex is a new secure digital asset trading platform, built by a group of traders and cryptocurrency enthusiasts, which boasts some unique features. Built from the ground, it will allow traders to maximize their profits with every trade they make. The trading platform will open up with over 100 active coins and markets for traders to exchange digital currencies. Instead of an isolated liquidity source, Buzzex uses a smart order routing system to not only display orders in its own order book, but also display the best orders from other liquidity sources. This guarantees liquidity in all markets from day 1. As more and more liquidity sources are connected, it will allow traders to maximize their profits from every trade by getting the best price to buy or sell cryptocurrencies, as well as ensuring fast execution of trades as orders potentially get filled from multiple sources. Find more information about the Buzzex Global Order Book here. Qualifying traders will also be able to benefit from the arbitrage plugin. Launching 6 months after Buzzex opens its’ doors, it will analyze orders in the global order book and perform triangular trades on multiple exchange platforms simultaneously. This will allow traders holding coins on the Buzzex platform to grow the coins in their wallets without actually having to perform trades themselves. Find out all the details about the Buzzex Arbitrage Plugin here. Buzzex coins are the utility coins of the Buzzex platform. It is a masternode/proof of stake coin on its own blockchain that allows qualifying traders to get up to 100% discount on trading fees and earn part of the daily trading fees in BTC, ETH or USDT, by simply holding them in their Buzzex wallet. Buzzex Coins also give holders voting power to decide which new coins get added to the platform. The first 6 months of trading, traders will earn BZX as fee cashback at a rate of $0.13 while trading on the Buzzex platform. Learn more about mining Buzzex Coins here. To further distribute Buzzex Coins to active traders on the Buzzex trading platform, every coin will have its own mini-trading competition which will last for 6 months. Up to 100 million BZX ($13 Million value based on fee cashback) will be distributed to up to 4,400 traders. Traders with the highest volume for each coin will win 20,000 BZX coins or more, automatically qualifying them to trade with zero fees and earn daily fees in all base currencies forever. Certain requirements need to be met in order to validate the competition of each coin listed on Buzzex. More info can be found here. Every coin project which is validated during the trading competition will be able to earn 1 million BZX to help grow their project. This can be used for development, or for marketing purposes. As an important note, only the first 100 projects of which the trading competition gets validated will be able to acquire the 1 million BZX by verifying coin ownership. In times when coin developer teams are cutting down on costs, Buzzex wants to enable a system in which a trading platform gives back to the community to help grow the global blockchain and cryptocurrency ecosystem. Find more info about the Buzzex coin partner program here. Traders interested in testing out the platform to reap all the benefits can join Buzzex today and start trading from one secure account on multiple order books. Buzzex’s aim is to provide the deepest liquidity in all markets, to offer the widest variety of digital assets, the best prices to buy and sell cryptocurrencies at any time and the fastest execution of orders to maximize trader’s profits. This press release is for informational purposes only. The information does not constitute investment advice or an offer to invest. The Buzzex token sale is closed to US participants and participants of all countries in which ICOs are illegal. 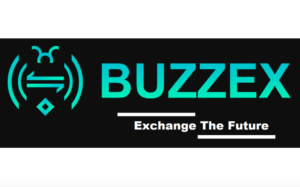 The post Buzzex Global Crypto Exchange Announces Start of Trading Operations appeared first on Bitcoin PR Buzz. Bitcoin Press Release: PrepayWay AG opens up new opportunities for international crowdfunding. Participants can get involved from the 19th of March. March 19th, 2019, Switzerland – People from different parts of the globe have an opportunity to contribute to the equity of the Swiss-Estonian startup using cryptocurrency. The self-hosted campaign brings together crypto backers and traditional crowdfunding contributors. Supporters will gain equity of the Fintech venture that plans to issue its own token, InBit. PrepayWay is developing new technology for secure and risk-free transactions with new, unfamiliar business partners. At the same time, the PrepayWay technology focuses on the flaws of the existing transaction process: an obsolete document workflow management system is replaced by instant access to transaction information for all supply chain participants and remote signing of contracts. The bureaucracy of contracting and payment procedures are replaced by an integrated money transfer service and risk management solution embedded in contracts. Lengthy litigation gives way to time and cost-efficient smart arbitration for dispute resolution. PrepayWay combines the functions of lawyers, banks, escrow agents, and arbitral institutions and offers an all-in-one solution for international contracting, financing, payments, and dispute resolution. Just as smartphones have changed the way people interact and communicate by combining multiple functions in a single device, PrepayWay is changing the way businesses function. The funds raised during the crowdfunding campaign will be used to develop solutions for international trade and real estate and a platform for diversification of international crowdlending. The contributors are offered equity in PrepayWay Systems Estonia OÜ, a subsidiary of the PrepayWay AG holding, that is developing the above-mentioned solutions. The roadmap can be seen on the company’s website. The crowdfunding campaign start date: 19 March 2019. Hard Cap: EUR 2 450 000. 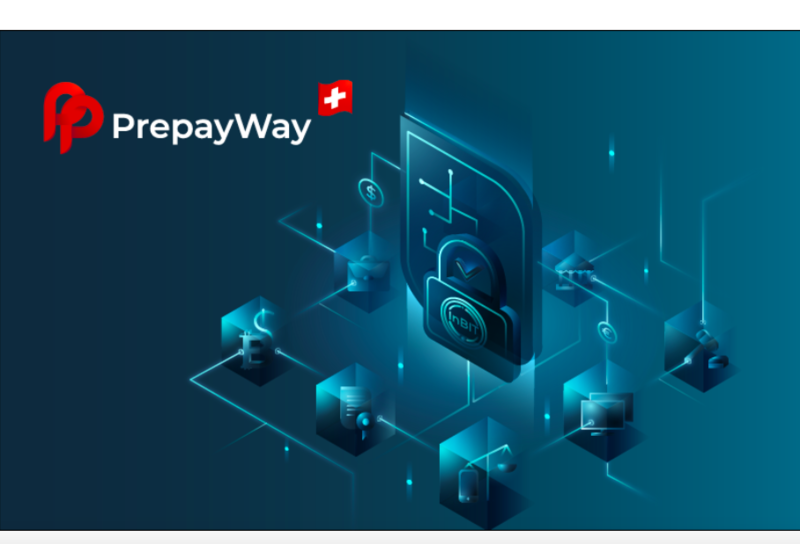 The idea for PrepayWay was born in Switzerland, where computer science, banking, international business, and legal professionals came together to revolutionize business processes. Coming from a plethora of professional backgrounds, PrepayWays’ diversely experienced team is dedicated to creating an ecosystem that facilitates secure, swift, transparent commercial transactions, all while reducing transaction costs. 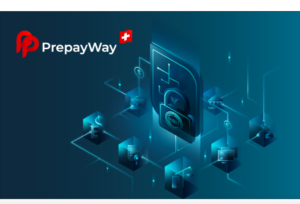 The post PrepayWay – A Swiss FinTech Holding Announces Start of Equity Crowdfunding Campaign appeared first on Bitcoin PR Buzz. Bitcoin Press Release: Online digital broker and trading platform SimpleFX has announced the launch of new features, including ‘Trading Ideas’, Multicharts and Live Widgets. March 19th, 2019, St. Vincent and the Grenadines – Multi-currency and cryptocurrency Web trader platform SimpleFX has just added three groundbreaking new features to its award-winning WebTrader and promotes the improvements with a “March Madness” offer. For the whole month, traders can earn $500 with a 20% spread cashback. The fast-growing broker with over 200,000 active traders worldwide aims at being the go-to app for the new generation of mobile-first traders. SimpleFX new features, Trading Ideas, Multi-charts and Live Widgets are all designed to fit the needs of the growing social trading community. The broker introduces useful tools for linking beginner traders with influencers, who can now mentor their followers earning recognition and up to 25% revenue share. Trading Ideas is a captivating social trading feature that allows the users to share their opinion on cryptocurrency, stock or forex trends, educate beginners as well as gain community appreciation and earn lifetime revenue share through the Unilink.io affiliate program. SimpleFX users can create a Trading Idea in just a few clicks – making a snapshot of their chart analysis, adding a comment and sharing it inside the app, in social media or through any other channels. Each Trading Idea carries the user’s referral link that will track the registrations and trades to pay out the lifetime revenue share. Engaging the network of followers is a common challenge for affiliates in the FinTech sector. The registration on SimpleFX is free and there are no minimum deposits, so it’s very easy to gather a substantial number of followers. Teaching them how to trade and make profitable orders is more difficult. SimpleFX affiliate partners can make big, successful trades with Trading Ideas. This feature will also help SimpleFX traders make earn a revenue share, and share / direct instructions and tips. A beginner can follow profiles of the users that provide valuable advice. SimpleFX Live Quotes and Charts Widgets are other tools promoted with the “March Madness” offer. Publishers, bloggers, and influencers can create unique content in just a few clicks. 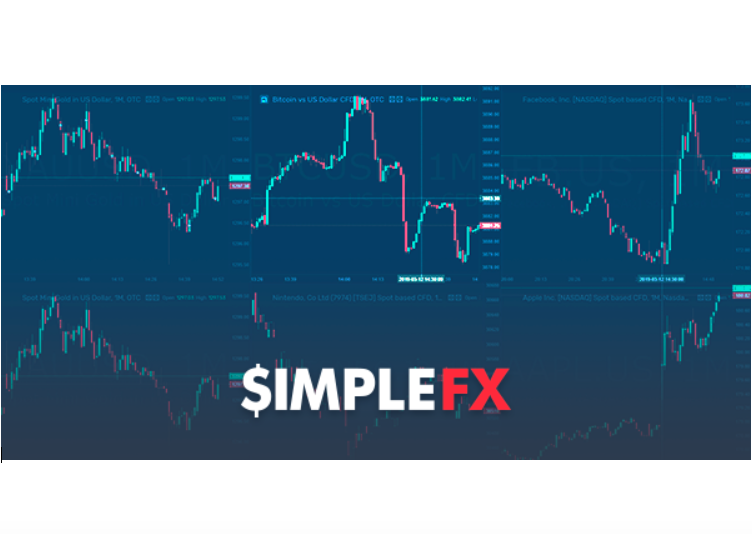 SimpleFX has released five new widgets – Market Overview, Live Quotes, Live Quotes Bar, Intraday Chart, and Currency Converter. They are fully customizable. The publishers and bloggers can pick the symbols they want to present to match their site’s content, as well as the widget’s layout, size, and style to match their website design. Each time a new SimpleFX user registers after clicking a widget, the new account will be linked with the website owner’s Unilink.io profile. The publisher will get up to 25% lifetime revenue share from any transaction spread ever generated by the new SimpleFX customer. Both the Widgets and Trading Ideas are available in the Unilink.io affiliate manager dashboard. Multicharts are the third new addition by SimpleFX. Although the broker acknowledges that mobile trading is the future, the app designers are working to improve the experience of desktop and laptop traders. The goal is to maintain SimpleFX WebTrader as a multiplatform tool fit for every screen and context. The Multicharts feature allows splitting the main section of the app into two, three, four or even six windows. Each one can be configured to show a different symbol, timeframe, or chart type. If you need a fast and reliable trading app with 1:500 leverage the “March Madness” promo a great opportunity to give SimpleFX.com a try. Start trading today and make the most of the 20% lower spreads. Simple FX is the source of this content. Virtual currency is not legal tender, is not backed by the government, and accounts and value balances are not subject to consumer protections. Cryptocurrencies and tokens are extremely volatile. There is no guarantee of stable value, or of any value at all. The post Trading Ideas, Multicharts, and Live Widgets – SimpleFX Promotes New Features With Lower Spreads appeared first on Bitcoin PR Buzz.